“Type T-34” is a made-up designation for the T-34/76 in Chinese PLA (People’s Liberation Army) service. The only suggestion of the PLA operating the T-34/76 comes from the video game, World of Tanks, and their Chinese client company, Kongzhong. 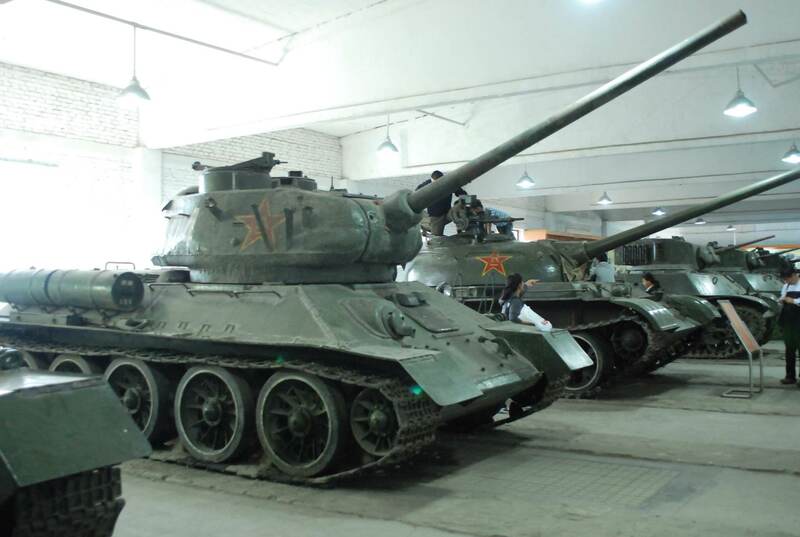 It is claimed that these tanks were supplied to the PRC (People’s Republic of China) in the early 1950s by the USSR, along with thousands of other tanks. Whilst it is true that the PRC was sold as many as 3000 AFVs in the years 1950-1955, neither company can provide any proof for the T-34/76 being included in these arms sales. 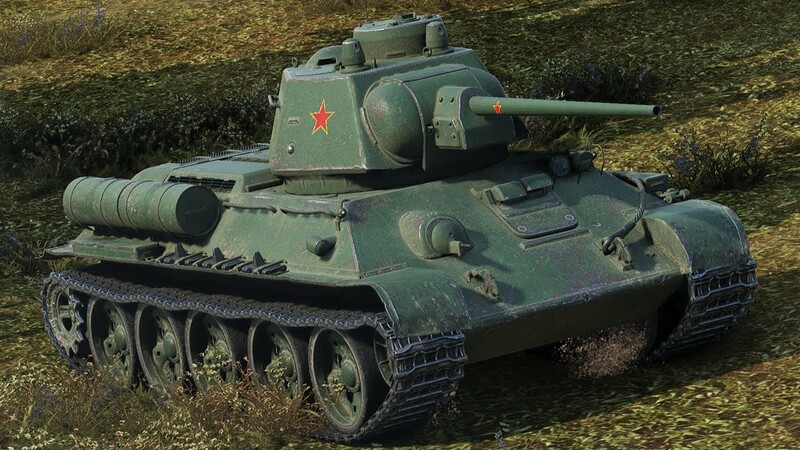 As such, the use of the T-34/76 by the PLA can only be concluded to be a hoax, intended as a credible means of filling up the World of Tanks “Chinese tech tree”, which is riddled with both historical inaccuracies and pure fantasies but remains presented as historical fact, rather like the rest of the game. The T-34/76 was a fairly rare export compared to the T-34-85 but still made its way to various countries including (but not limited to) North Vietnam, East Germany, (who used theirs mainly for training), Poland, Czechoslovakia, and North Korea. As such, it is plausible that other countries, such as the PRC, received the T-34/76. However, arms sales from the USSR that took place between 1950 and 1955 are not recorded as including the T-34/76. Dr. Martin Andrew (a historian of the PLA) reports that the PRC received 1837 T-34-85s, 82 IS-2s, 40 ISU-122s, 67 ISU-152s, 99 SU-100s, and 704 SU-76s between 1950-1954, as well as 89 ARVs at least some of which (possibly even most) were based on the T-34 chassis (some others were based on the ISU chassis – at least two; almost certainly more). These numbers are estimates, and other sources have slightly different figures. For example, Zhang Zhiwei (author of The Tank Division of the Chinese People’s Liberation Army 1945-1949) claims that the PRC received as many as 1964 T-34-85s by 1955. Regardless of exact figures, Dr. Andrew advises that there is no evidence of the PLA receiving the T-34/76, or any suggestion predating World of Tanks that he is aware of. In reality, North Korea received all of its tanks directly from the USSR in February 1950, when a military advisory group was sent along with small arms, aircraft, artillery, and other military equipment types. This was enough to equip eight field divisions and other combat units consisting of 100,000 men. A such, the idea that all North Korean T-34/76s are actually ex-Chinese T-34/76s falls flat. The suggestion of the T-34/76 receiving Chinese-designed upgrades sounds highly dubious, too. The only known Chinese upgrade to the T-34 is the Type 58 upgrade standard of the T-34-85, and this did not include a suspension upgrade. The context of the World of Tanks description does not make clear if the Chinese designed upgrades were done to the remaining Chinese T-34/76s, or North Korea’s T-34/76s. Some images of North Korean T-34/76s in the post-Korean War era indicate that some modernization features were added such as sidesaddle fuel tanks, starfish roadwheels (first introduced by the Soviets in 1969), and perhaps some other smaller details. It is plausible that these upgrades were designed with Chinese assistance, which might be the source of this suggestion, but very little is known about the post-1953 service of North Korean T-34/76s, and there is nothing to suggest that their suspensions have been upgraded based on the highly limited evidence that there is. Furthermore, in World of Tanks, the “Type T-34” can be fitted with a 57mm gun designated “55-57FG”, which appears to be a copy of the Soviet 57mm ZiS-4. Without a doubt, this is not real because the Soviets abandoned the 57mm gun for tank use in 1943, as it was considered obsolete. Having said this, the PLA is known to have fitted an unknown number of LVT(A)-4s and LVT-4s with 57mm ZiS-2 and 76mm ZiS-3 field guns in the 1950s, but details around these conversions are lacking. Regardless, these LVT conversions were done using Soviet-supplied field guns and should not be used as even circumstantial evidence of the Chinese developing their own 57mm tank guns, which, again, would have been totally obsolete by the 1950s for anti-tank duties. As such, the LVT conversions were most likely a means of having mechanized artillery as opposed to tank destroyers. The name “Type T-34” seems rather dubious as no sources pre-dating World of Tanks make reference to this name. It is likely that name was made up by World of Tanks and/or Kongzhong to distinguish the vehicle from the Soviet T-34/76 in their video game. For reference, the designation “T-34/76” is also a fairly modern designation. The USSR used “T-34” to refer to the /76 variant, and “T-34-85” to refer to the 85mm gun variant in Divisional records. However, sometimes these are not differentiated in historical documents. In such documents, unless a reference is made to ammunition type, it is difficult to be sure which variant is being referred to. Therefore, documents with “T-34” written are not sufficient proof enough of a Chinese T-34/76 unless guns and/or munitions are also explicitly referenced, or other contextual details suggest the /76 variant. 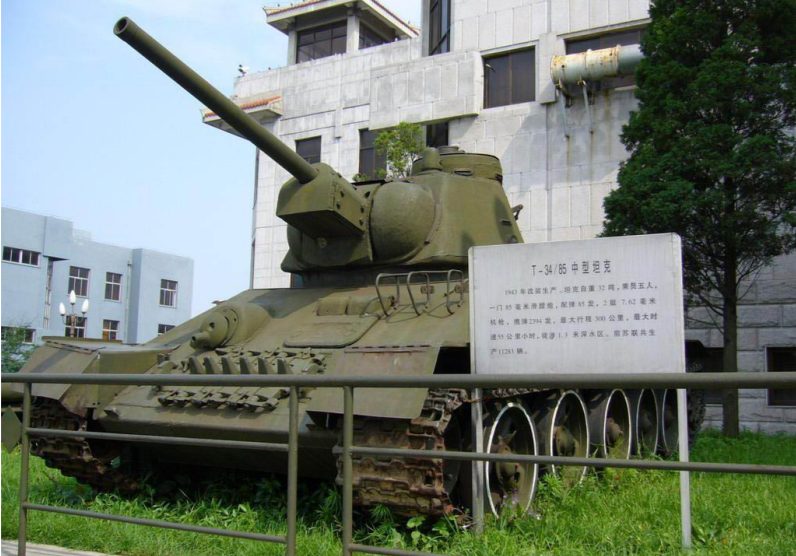 There is a widely circulated photograph of what appears to be a Factory 183 built T-34/76 in the Korean War Memorial Hall in Dandong city, (Liaoning province, PRC) which is sometimes cited as evidence of PLA T-34/76s. In short, the vehicle’s provenance is somewhat unclear, but its construction suggests it to be a modern rebuild for museum purposes as opposed to a former PLA-operated vehicle. 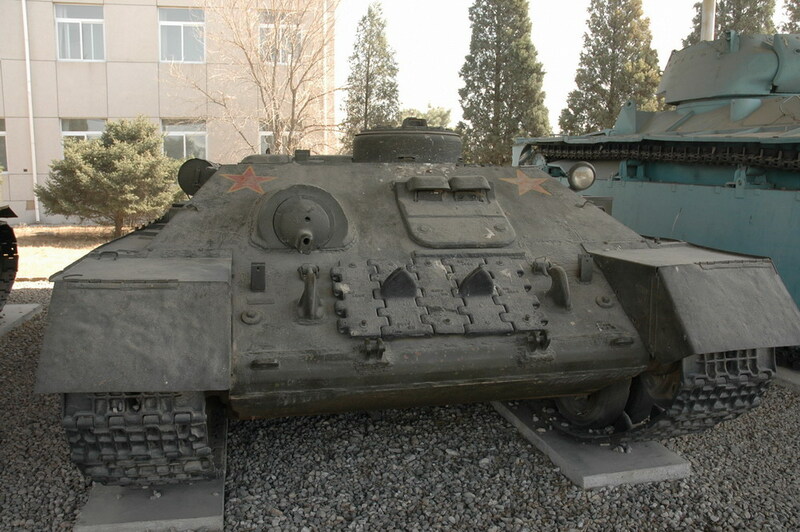 A T-34/76 (most likely Factory 183 built) in the Korean War Museum in Dandong, Liaoning Province, PRC. The tank is made from a mixture of odd parts and is clearly not original. The SU-100 may actually be Chinese, as 99 were sold to China by the USSR in 1954. This SU-100, like the T-34, does not have any apparent PLA markings. Source: ‘T-34 Interest Group’ on Facebook. The vehicle is made from a mixture of odd parts such as T-34-85 modernization wheels (almost certainly modern acquired, as they were made in 1969 at the height of the Sino-Soviet Split), the tracks are T-55 style, the sprocket is also from a T-55, the engine deck handrails are non-standard (probably handmade), and there is also a T-55 searchlight cage on the glacis plate (next to the driver’s hatch). Most tellingly, the tank has a pressed turret’s gun mantlet, but the tank is a soft-edge turret – this indicates that the tank is an inaccurate museum restoration, and may be simply a Type 58 made to look like a T-34/76 using parts which (may) have been acquired recently. That said, the handrails on the hull are typical of T-34/76s (although they may be handmade), and the hull machine gun position may also be that of a T-34/76 tank (this is not entirely clear, as the only indicator of this would be the casting nubs, not visible in these photos). It is therefore also possible that the hull is a T-34/76 hull that was acquired recently but has nevertheless been restored inaccurately. 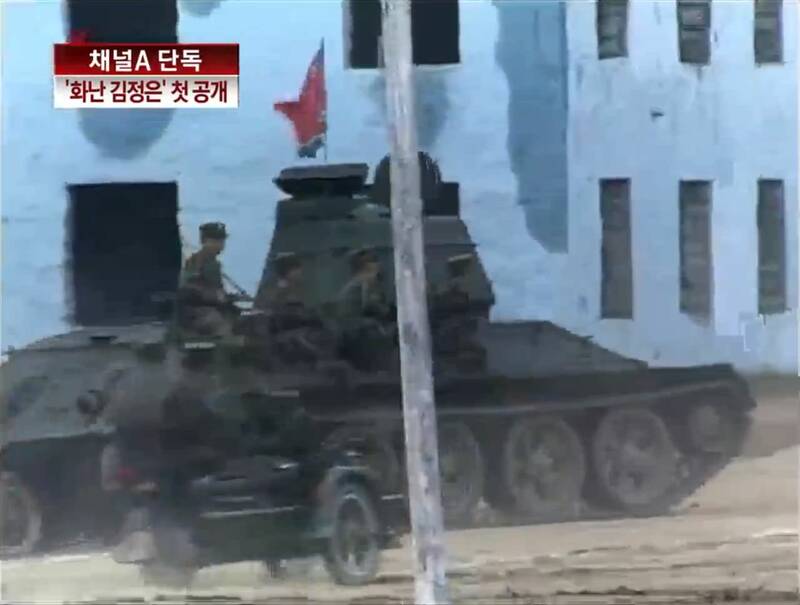 It is even possible that this tank was acquired from North Korea, as some modern footage shows a North Korean T-34 to have very similar production features to this T-34. Most tellingly of all, the vehicle also does not have any PLA markings on it, thus suggesting that the tank is not intended to portray a PLA T-34/76, but may instead be intended to portray a North Korean T-34/76. 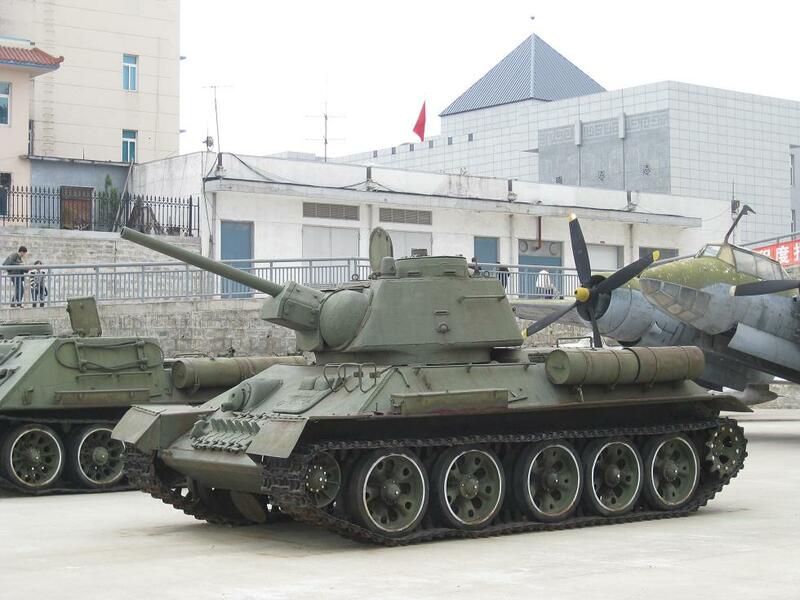 It can therefore be concluded that this tank is a post-Korean War acquisition that underwent an inaccurate restoration for museum purposes and should not be seen as evidence of the PLA operating T-34/76s. As indicated, the crux of the issue is that there is no credible evidence (be it photographic or literary) to suggest any T-34/76s being used by the PLA that is available for scrutiny by non-Chinese historians. As mentioned, Soviet evidence for arms sales to China which indicates T-34/76s being sold is also lacking. Kongzhong are reportedly able to access Chinese military archives and report what they find to Wargaming in order to make Chinese tanks for the video game. It is said that Kongzhong’s researchers are only allowed to take personal handwritten notes whilst researching, and materials found in the archive cannot be reproduced (which is the case with many archives). As such, the existence of the “Type T-34” hinges on the word of Kongzhong, which is highly problematic. Kongzhong is known to frequently take substantial creative liberties, or even to totally make up Chinese tanks (for examples of this, see the Type 59-Patton, 121B, WZ-132A, WZ-132-1, and the ‘tank destroyer tree’ which is filled with imaginary riffs on existing or semi-existing chassis), meaning that their credibility as a historical source is completely lacking. World of Tanks, too, is infamous for being jam-packed with fake tanks (a jarring example being the G.W. E-100, amongst many others), and having tanks operated by the wrong country (for example, the 10.5cm leFH 18/3 (Sf) auf Geschützwagen B2(f) being in French service). Given that World of Tanks also has this reputation, they cannot be trusted as a credible source either. Such imaginations are not in of themselves an issue, but their presentation as real tanks is. In sum, no credible evidence to suggest the existence of the “Type T-34”, or any of these supposed Chinese upgrades, is available to non-Chinese historians, and with the claim being made by two companies of dubious reputations as historical sources, it can only be concluded that the “Type T-34” does not exist until further evidence is put forward and evaluated. Artist’s interpretation of a T-34/76 (produced by Factory 174, Omsk) painted in regular PLA colors based on T-34-85s as seen on National Day parades in the 1950s. Artist’s interpretation of a T-34/76 (produced by Factory 174, Omsk) painted in typical PLA camouflage as seen on Chi-Ha Shinhotos and a T-26 M1937 on the 1st October 1949 foundation of the PRC parade. The same scheme has been seen on Type 59s in the early 1960s on National Day parades. Both tanks were illustrated by Tank Encyclopedia’s own Jaycee ‘Amazing Ace’ Davis based on technical drawings by Mark Rethoret. The ‘Type T-34’ as it appears in World of Tanks. ‘Type 58’ ‘404’ in the Beijing Tank Museum. To its right is a Type 59, followed by two M3A3 Stuarts. Source: ‘T-34 Interest Group’ on Facebook. “T-34 Tank Recovery Vehicle is a technical support vehicle produced in 1940s by the former Soviet Union. This vehicle began to enter service with Soviet Army in 1940, and was withdrawn from service in the late 1960s. T-34 Tank Recovery Vehicle, as a support vehicle for T-34 tank, is used for towing and recovering the trapped, toppled, or damaged tanks in the war. In 1950s, China began to buy this vehicle and put them into service with PLA, now all the vehicles are phased out of service. 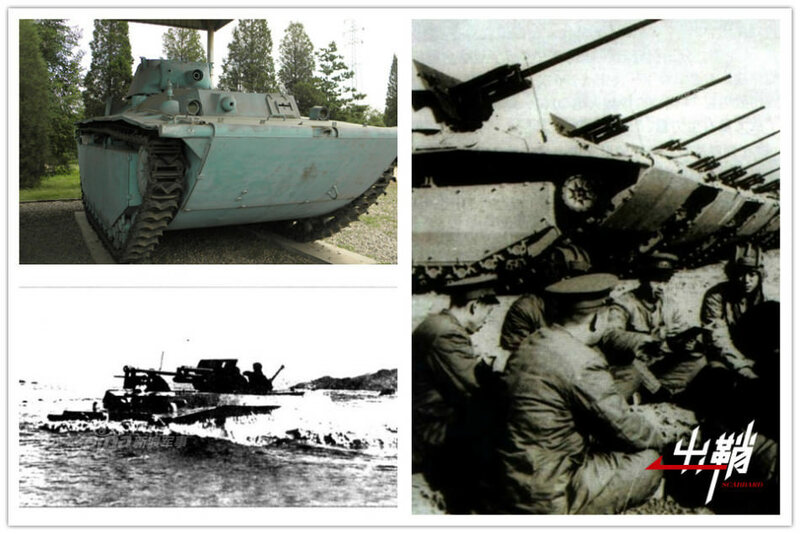 The vehicles bought by China went into the front line of Korean War together with Chinese volunteer troops, and played a significant role in the technical support in the war. 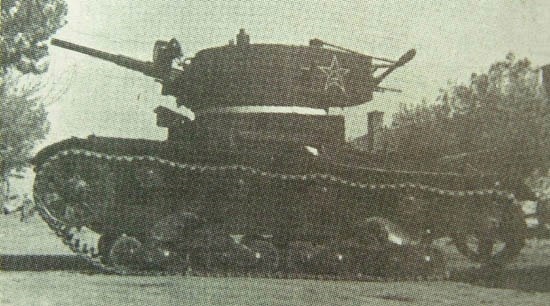 One of Kongzhong’s blatant imaginations – the so-called ‘T-26G FT’ as it appears in the video game ‘World of Tanks’. World of Tanks reports that “during the 1946–50 civil war, a number of vehicles were captured by the People’s Liberation Army in eastern China in 1949. In 1950, they were used as a basis for the creation of at least two modifications of tank destroyers.” In reality, three T-26s were captured from the Kuomintang (Nationalists) during the Huai Hai Campaign (6th November 1948 – 10th January 1949) one of which was pressed back into service and was photographed on the October 1st 1949 Victory Parade in Beijing. It is likely that this tank was phased out shortly after, seeing as though Soviet arms sales of more modern tanks began in 1950. Some other T-26s were captured during the Civil War, but appear to have been lost before October 1949. The other two vehicles may have been wrecked beyond repair. 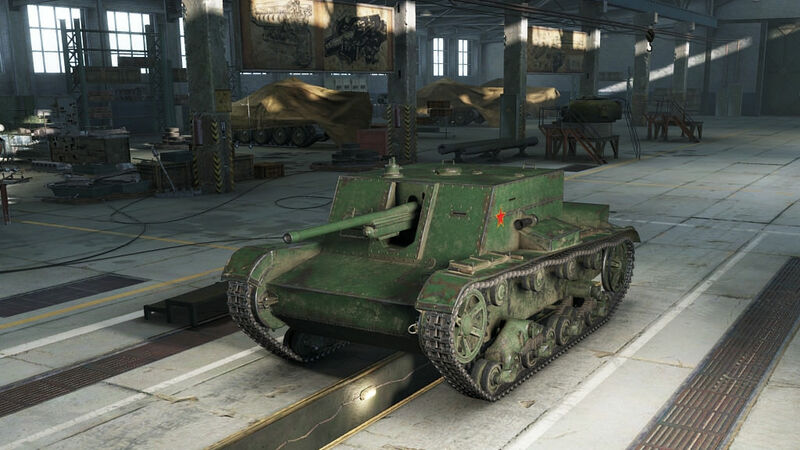 There are other vehicles that World of Tanks suggests the PLA used but there is no proof for, such as the Renault NC-31. Discussion with Francis Pulham regarding T-34 production variants. Discussion with Dr. Martin Andrew regarding Chinese T-34s and Soviet arms sales to the PLA. Special thanks to Leo Guo for providing translations. Special thanks also to the members of the “T-34 Interest Group” on Facebook for their comments. “Tuo Mao: the Operational History of the People’s Liberation Army“, PhD dissertation by Martin Andrew, submitted to Bond University, Faculty of Humanities and Social Sciences, 2008. “The Tank Division of the Chinese People’s Liberation Army 1945-1949” by Zhang Zhiwei, Humanism Print. This is an interesting article but i have the feeling that world of tanks is being put down as a stupid game with only fake tanks. Thats totally not true and focus more on the fact that kongzhong is making these things up. Plus the fact that there is no real evidence does not say its a fake tank. And over the fact that you can fit a 57mm gun on it, its a game and thay give options to use different types of guns on tanks. It seems a likely story that the PLA operated some ‘T-34/76s’, but because there is no evidence to support this claim, it is clear that the ‘Type T-34’ has been made up. The burden of proof is on Kongzhong to prove it is real, not for anyone to disprove it. I will happily evaluate any evidence put forward. World of Tanks does feature mostly real tanks, but there are plenty of fakes which are presented as real vehicles. Many, if not most, real tanks also have upgrades that they never received, and some are even in service with the wrong country. Furthermore, I never said that it is ” a stupid game with only fake tanks”. The problem is that this game does not distinguish between fact and fiction at all, so many people take everything in the game as fact. I will say that while some of the higher tier WoT Chinese tanks are real, the majority of them are either redressed American, and Soviet tanks, for example the M5A1. While this tank may have been supplied to the chinese, in game it recieves irrational ‘chinese’ upgrades that would never have been compatible with that tank’s chassis and hull etc. The worst offender has to be the T54/M48 patton hybrid. Wot is a great game, but sometimes the blatant inaccuracies of some vehicles are too much to ignore. Just as a FYI, the game “The Day After” (aka Cuban Missile Crisis) also had T-34-76s in service with the PRC. Doesn’t make it any more genuine, just another source that seems to believe that the PLA used these tanks. No idea why. Always enjoy the Fake Tank articles! Is there a list of which WoT tanks are veirified and which are fictional? The Chinese tanks in World of Tanks were originally implemented as a Chinese server exclusive to make the Chinese players feel special, but they were then added to other regions as well. There is an entire branch (9 regular plus 2 premium tanks for a total of 11) of tank destroyers that are completely fake “what if” vehicles. These TDs were also added as a Chinese server exclusive but were brought to the rest of the world later. A few other fake tanks in World of tanks include: T25 AT, T25/2, waffentrager E-100 (removed from the game), the Churchill Mk VII (it can mount the comet’s gun), and the fv215b just to name a few. I switched over to war thunder partially because that game has less fake vehicles in it. Good thinking. War Thunder has less if any fake vehicles in it. The new T54E1 was actually a prototype that existed, unlike the ‘what if’ Chinese TD’s. I take the view that in World of Tanks, the nation of ‘China’ represents both the PRC (China) and the DPRK (North Korea). So as far as I’m concerned, the ‘Type T-34’ is a North Korean tank. Wargaming doesn’t like to create partial tech trees, and doesn’t like to add minor nations without domestic tank production in the game time period to World of Tanks. So, North Korea is not a nation in WoT, and neither are Egypt, Syria, Iraq, Jordan, Iran or Israel, even though several tanks used by these nations in historical combat operations are in the game. It is disappointing that the Type T-34 has the 57 mm ZiS-4 gun available, it should have had only 76.2 mm guns. Tim, we doubt that the developers wanted to show this as a North Korean tank in the Chinese tech tree. It is in Chinese marking and the in-game history clearly states that they saw service with the PLA. Well, in my opinion, WG wouldn’t want to be blatantly obvious about putting North Korean tanks in the Chinese tech tree, because Chinese players wouldn’t like that. (The DPRK is no longer highly regarded by Chinese people). Hence WG’s fake story about Chinese T-34/76. Similarly, the M4A1 Revalorisé is in World of Tanks as a French tank, even though it was never used by the French Army, only by the IDF (Israel). Wargaming wouldn’t want to blatantly shove an Israeli tank with IDF camo down the throats of Arab WoT players, for obvious reasons. Which means we’ve circled back to Wargaming lying in order to make a profit. It is their business choice if they lie to their customers to get a profit, it is their customer’s choice if they accept that and it is our choice to object to the falsification of history in a mass-market game that advertises itself as historically accurate. And it is a choice that we stand by. As for the Revalorise, that is a French project developed in France (even if not used by France). And their ingame description and wiki correctly describe that. Again, we have no problem with putting a tank that does not belong in the wrong tech tree. What we have a problem is lying about it to make it fit while also claiming historical accuracy. And I endorse your view entirely. I would much rather have North Korean and Israeli tanks in the game too. However we have the good fortune to live in countries where history is not so heavily politicised as it is in China, Russia, Belarus, and Arab countries, so I do understand why Wargaming are trying to be politically correct (in the warped perspective of the above countries’ governments) rather than historically correct.